Jessica served as a teaching artist for Rivendell’s “Strong Girls” program. 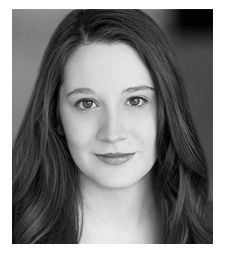 In addition to her work with Rivendell, Jessica has toured with Erasing the Distance, and has worked with Walkabout Theater Company, Collaboraction, The Public House Theatre, and Blue Goose Theatre Ensemble, of which she is a founding member. She has performed in staged readings with A Red Orchid Theatre’s Incubator Series, Forget Me Not Theatre Co., and Commission Theatre, and can also be seen in the upcoming feature film PRINCESS CYD. Jessica is a graduate of Ball State University with a B.F.A. in Acting, and is proudly represented by Gray Talent Group.